At SES, we are very proud to support people into employment, but did you know how far we go…. To aid all of our friends and partners we have masses of people fundraising, supporting and running in the Belfast Marathon on Monday 1 May. Why not support our teams, shout their names and maybe donate to their causes…. 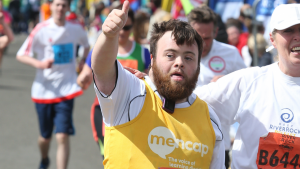 Mencap are supporting with water stations and have lots of runners, look for the running tops!! !